Bamberger, I., et al. (2011), Deposition fluxes of terpenes over grassland, J. Geophys. Res., 116, 10.1029/2010jd015457. Enami, S., M. R. Hoffmann, and A. J. Colussi (2012a), Dry Deposition of Biogenic Terpenes via Cationic Oligomerization on Environmental Aqueous Surfaces, J. Phys. Chem. Lett., 3(21), 3102–3108. Enami, S., et al. (2012b), Protonation and oligomerization of gaseous isoprene on mildly acidic surfaces: Implications for atmospheric chemistry, J. Phys. Chem. A, 116(24), 6027–6032. 図 1　Positive ion mass spectra of pH 2.6 water microjets exposed to various [α-pinene] (A) or [β-pinene] (B). 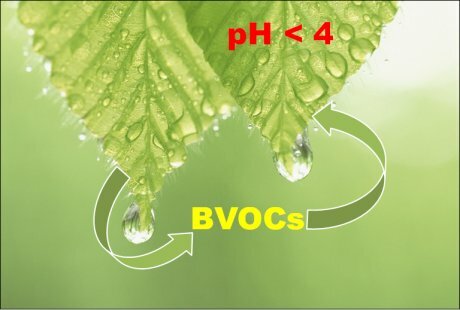 図 2　Possible uptake of biogenic VOC on the surfaces of leaves.